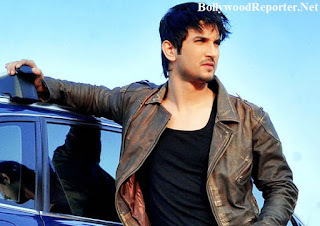 Sushant Singh Rajput will be seen in the biopic of M.S. Dhoni in leading role of Dhoni, and to prepare for the same he recently visited Ranchi. He mate Dhoni's childhood friends in Ranchi and his cricket coach to get deeply in Dhoni's role in the film. He also visited Ms Dhoni's alma mater and his old hunts. Shushant is undergoing rigorous training to get into the skin of his character. Neeraj Pandey will wield the megaphone for the film, which will soon go on floors. The film is produced by Rhiti Sports Management, Inspired Entertainment and Adarsh Telemedia. It's story of Indian Cricketer Mahendra Singh Dhoni, played by Sushant Singh Rajput, and Parineeti Chopra as Sakshi singh dhoni.